I'm interested in creating happiness through my doodles! Hi there! I'm Melissa. As a Graphic Recorder I've worked with clients in 2 continents, 10 countries and over 21 cities. I am an expert on visualizing ideas on different formats and techniques. 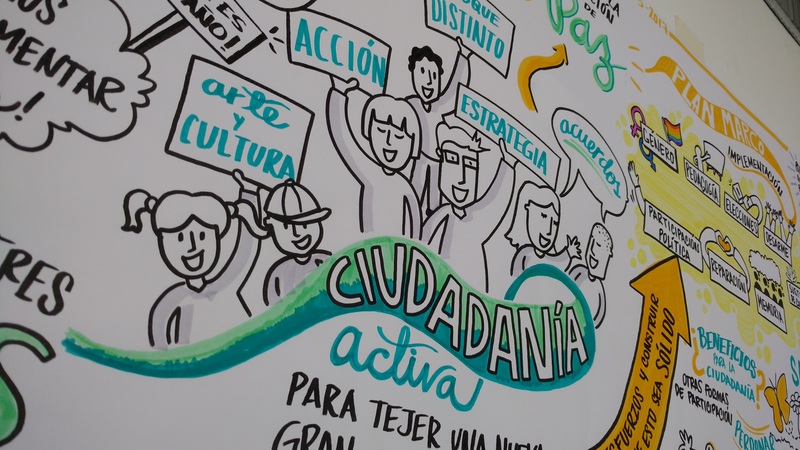 Pioneer of Graphic Recording in Colombia, with more than 7 years of experience in this field. Born in Barranquilla, live in Bogotá and work around the world! If you have a project or creative need that I can help with, please get in touch!